Members of the CLDE Workgroup pose outside of the Center for Community Engagement and Service Learning. 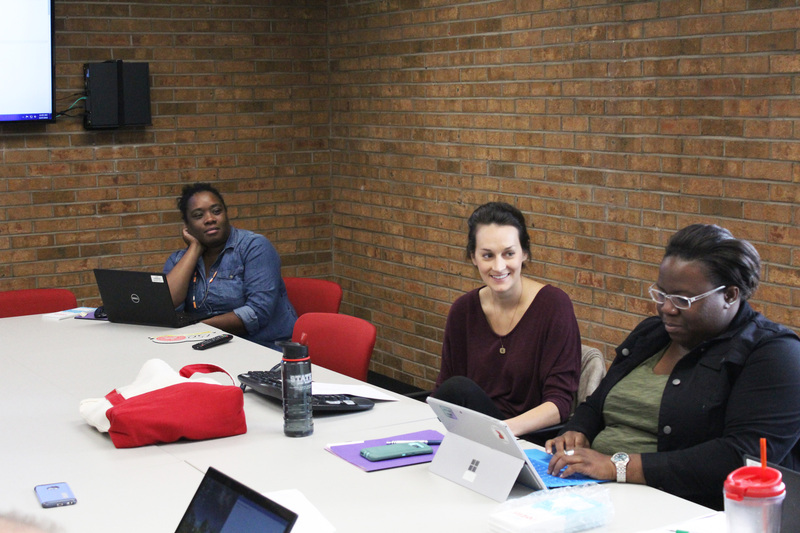 For the sixth year in a row, Illinois State University received the honor and designation of being named a Lead Initiative Institution in Civic Learning and Democratic Engagement by the association of Student Affairs Administrators in Higher Education, also known as NASPA. The University also received the highest classification within Lead Initiative Intuitions and was named a Lead Advisory Institution. ISU is one of 72 institutions designated nationally as a Lead Initiative Institution, and one of only 14 institutions that received the classification of Lead Advisory Institution. The University has received the Lead Initiative Institution designation each year since its inception in 2012 and has been named a Lead Advisory Institution for the last three years. NASPA designates Lead Initiative Institutions as those two- and four-year universities committed to encouraging and highlighting the work of student affairs in making civic learning and democratic engagement a part of every student’s college education. Institutions selected to participate in the initiative work collaboratively in cohorts to share resources, promising practices, and participate in professional networking opportunities. This designation comes in part from the University’s core value of civic engagement and the ongoing work of the Center for Community Engagement and Service Learning. 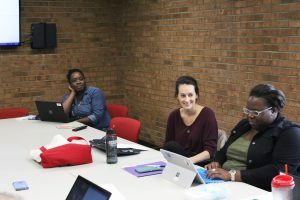 The center has a broad scope with work related to service learning, civic education, and political engagement, both inside and outside of the classroom, as well as enhancing community partnerships. CLDE workgroup members take part in a group meeting. As part of its ongoing civic engagement and Lead Initiative Institution efforts, the Division of Student Affairs formed a Civic Learning and Democratic Engagement (CLDE) workgroup. 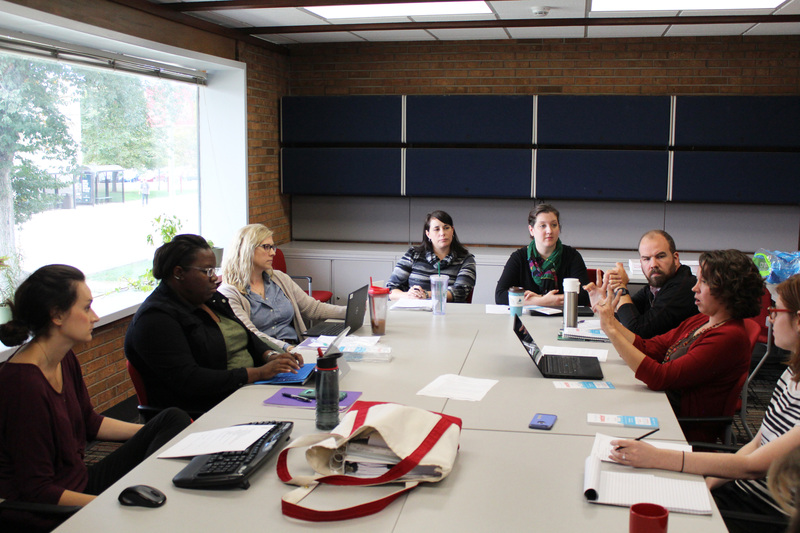 The group, coordinated by Harriett Steinbach, assistant director of service learning at the center, meets quarterly to discuss ways to increase civic engagement throughout the Division. 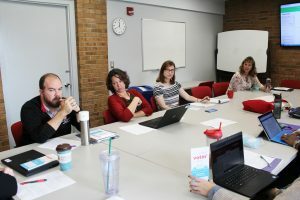 Over the course of the 2018-2019 academic year, the workgroup will discuss civic engagement materials and theory from NASPA; review the Division’s broadening of perspective learning domain and specifically the civic engagement competencies; test a new reporting application for civic involvement; and evaluate ways to disseminate civic engagement information to ISU students, faculty, and staff. The group will also continue to discuss the needs of the community and the underlying foundation of community voice within community service.